"He was not of an age, but for all time!" 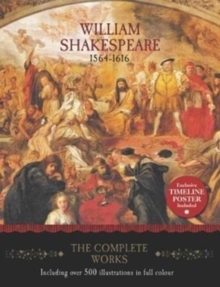 were the prophetic words of Ben Jonson in his dedicatory poem prefacing the 1623 collection of Shakespeare's comedies, histories and tragedies, which is commonly referred to by modern scholars as the First Folio. Time has thus far supported Jonson's bold assertion. No writer before or since has equalled the Bard of Avon's prodigious achievement. Today his plays are performed all over the world in almost every language - the sun never sets on the works of Shakespeare. Throughout the English-speaking world the language of Shakespeare has become an integral part of everyday discourse but many of those who use it are probably unaware of its source. In the section entitled 'Quotations from Shakespeare in Everyday Use' there are a number of examples of phrases and expressions still widely current in the twenty-first century. In the mid-1850s Howard Staunton - better known as a chess master - obtained a contract from the publisher George Routledge to oversee the preparation of an edition of the complete works of Shakespeare. To enhance this project, Staunton commissioned John Gilbert to produce a series of illustrations, many of which are used in this volume. Over the years the original version has often been reprinted, always with monochrome illustrations. It is therefore with the greatest pleasure that Worth Press is able to present to readers this new edition offering all the illustrations in full colour.